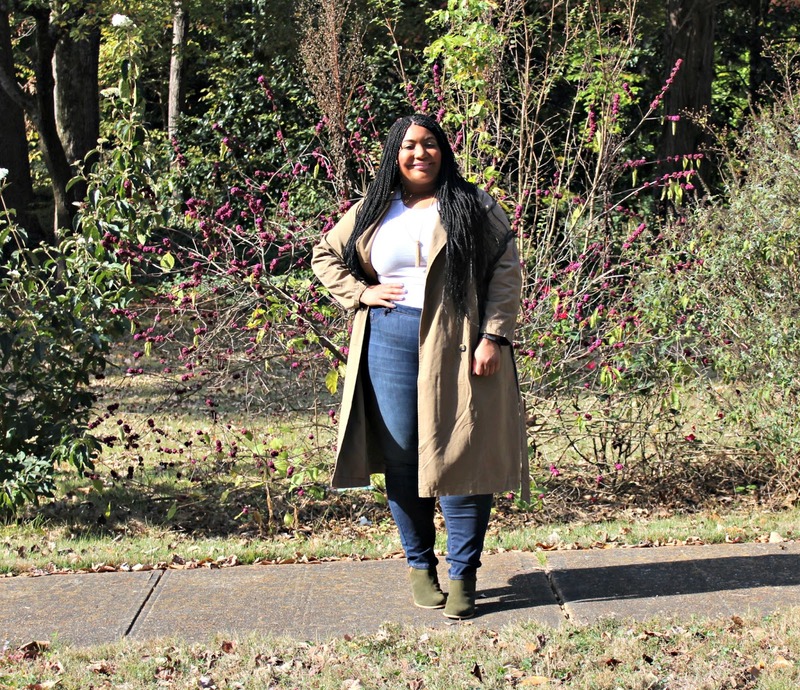 This is the third installment of a four part series “Denim Days.” This series will showcase various ways denim can be incorporated into the everyday woman’s wardrobe. 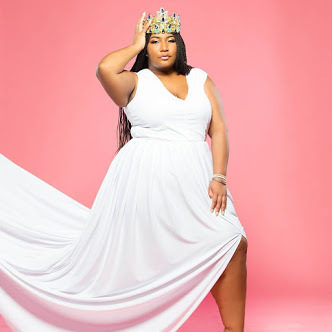 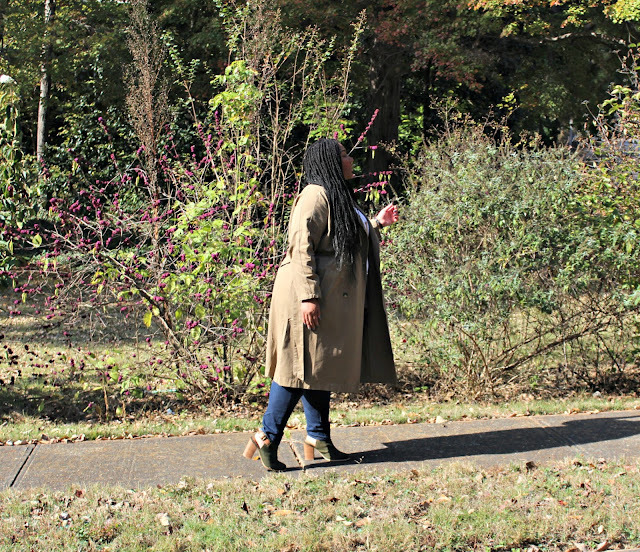 This series really challenged to wear denim jeans, because I am a lover dresses and skirts. 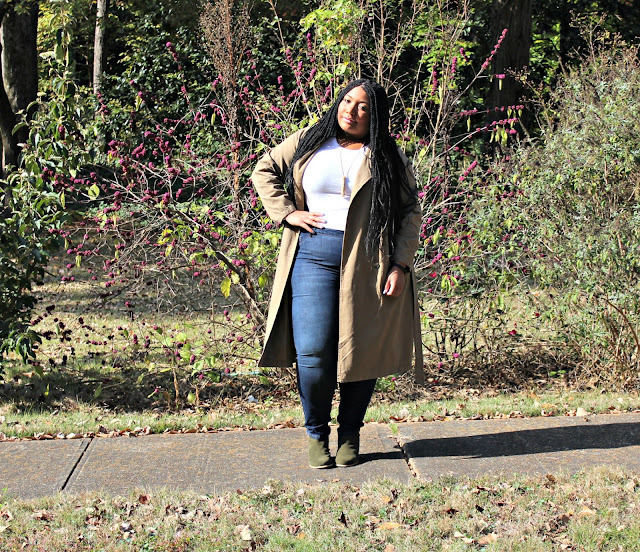 I love the thought of wearing a plain white tee and jeans. 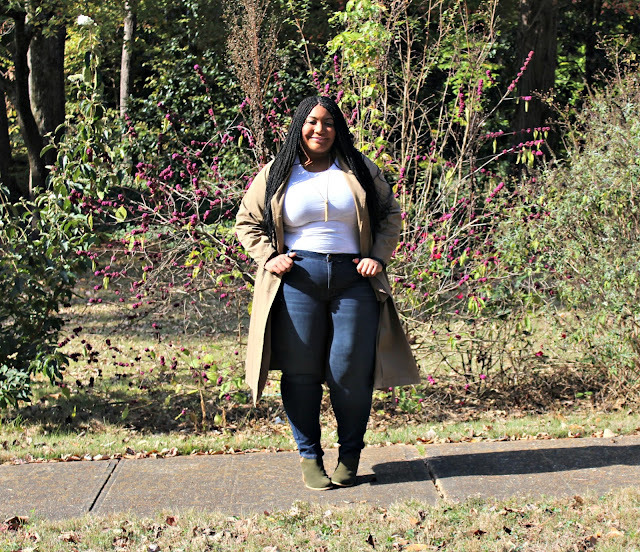 This outfit is really a dream come true and this jeans are magical! The jeans are super soft and stands true to their “legging” description. 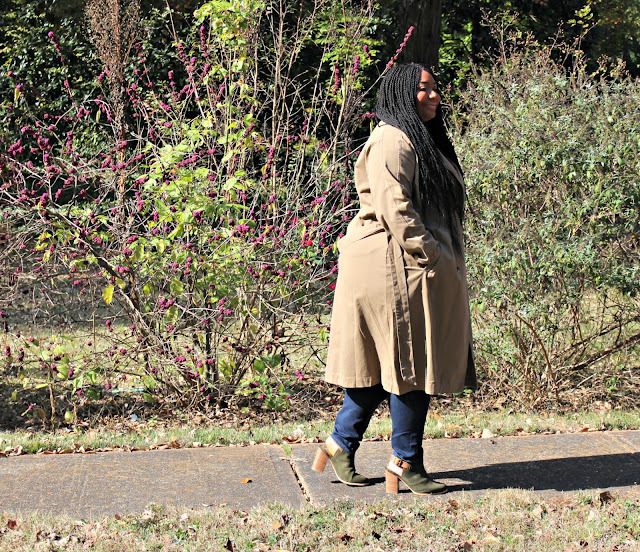 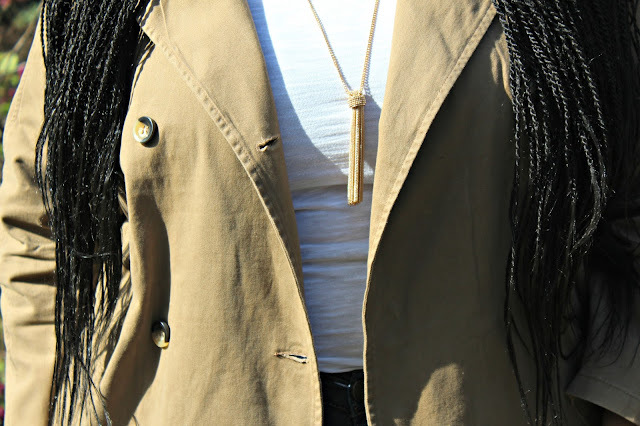 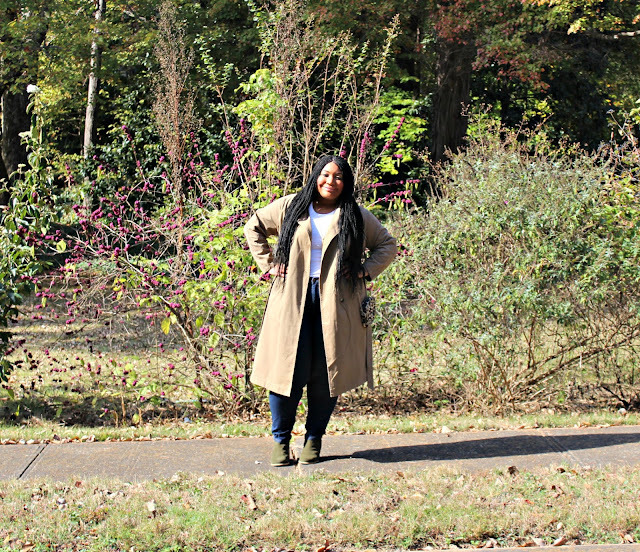 I couldn’t wait to wear my new trench coat and sling back booties to complete my this look. Style Notes: These jeggings are true to size in a size 22 and super comfy. 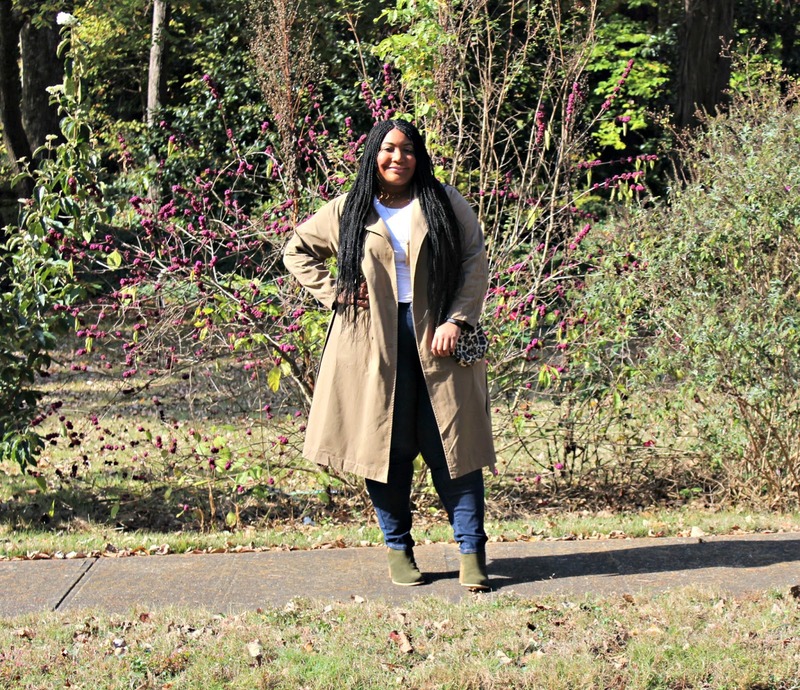 This trench is true to size, but I sized up to a 3XL because I was unsure about sizing. The booties are true to size in a 10.